Northstar Meetings Group presents a practical guide that will help you set up the most common forms of modern team building, and empower your team members to form the positive work relationships they need to accomplish great things. How to Create High-Impact Team Experiences is brought to you by Links Unlimited. 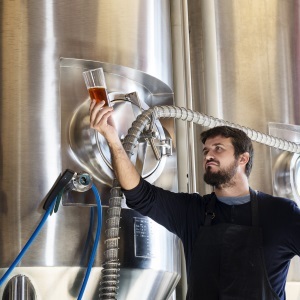 Team building is a not a fad or a flash in the pan. When a team learns together, experts say it builds a collective intelligence with the ability to tackle any problem. This makes team building an effective tool for groups seeking to discover their strengths and weaknesses, overcome challenges, and establish a better rapport between team members. 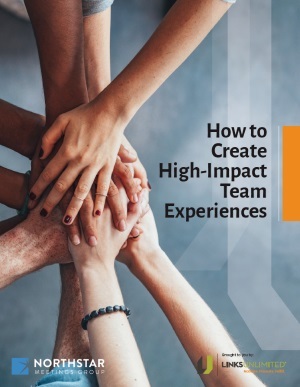 This practical guide offers insights on how to set up the most common forms of modern team building, and demonstrates how team members can form the positive work relationships they need to accomplish great things. As Forbes recently observed, team-building programs may be considered lame, but they’re also effective. People are intelligent, curious, communal creatures; they almost always appreciate learning new things within the familiarity (i.e. safety) of a group. They also appreciate the effort that the company is investing in their development.